It’s the fourteenth sixteenth blog post for this run, but it’s my first ever post for the MagAO blog. I’m Joseph Long, a just-finished-first-year graduate student in astronomy working with Dr. (Astr.?) Jared Males. I’m helping out as an AO operator for part of this run, though it may be more accurate to say everyone else is helping me learn to operate MagAO. Tonight is a bit of a change from the last few nights: Clio has gone on a vacation to the storage building and a new instrument has been installed. Brian McLeod and the rest of the Giant Magellan Telescope co-phasing prototype instrument team are all here, and we’re quickly running out of chairs. 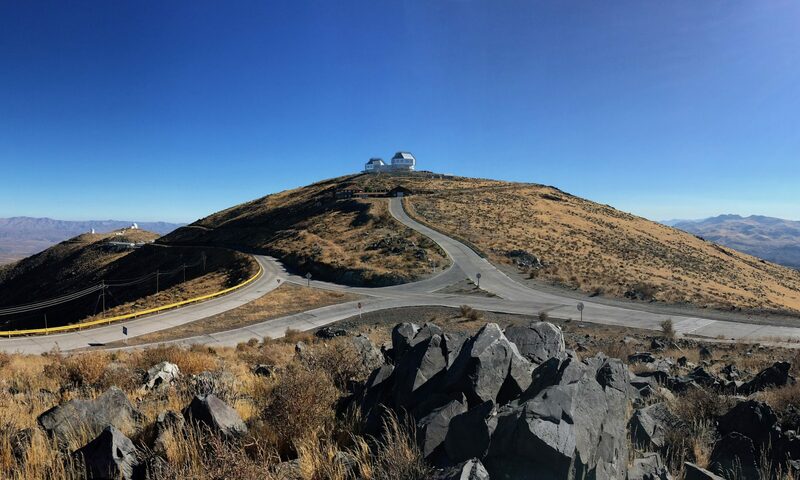 The instrument they bolted on today is designed to demonstrate the ability to phase the Giant Magellan Telescope’s primary mirror segments by treating the 6.5 m Regular Magellan Telescope’s single primary as if it were segmented. (“It had better be in phase!” — Jared) Dedicated readers may recall Derek Kopon’s post from December 2015, which explains some of the motivation and techniques for this project. This whole experience brings back memories of KAPAO and Pomona College, but I have to say Las Campanas has the superior facilities. I’m speaking, of course, about the lodging and food. I’m not sure I ate anything but fistfuls of chocolate-covered espresso beans while on Table Mountain as an undergraduate, so I feel very well taken care of here at Las Campanas. Short video of the observer’s interface to monitor forces applied to the adaptive secondary mirror. The actuators are shown in their concentric rings, and color coded based on the absolute value of the force applied. The night sky is hard to photograph (just ask the Clio and VisAO PIs), so instead I’ll leave you with a photo of the Magellan Clay telescope greeting the sunrise. The Magellan Clay telescope greets the sunrise.